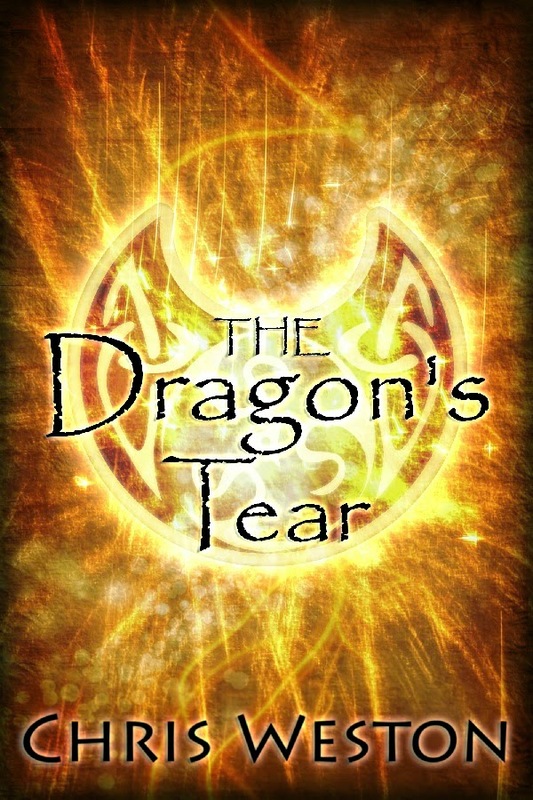 Chris Weston: The Dragon's Tear: Free? Things have been exciting for The Dragon's Tear. It received a new and snappy edition, a new physical book (which is coming, but hit a snag at the printer), and is enrolled in KDP Select again. KDP Select may not sound like a big deal, but what I did with it sure is. A quick reminder, I give Amazon exclusive rights to sell my book by signing a contract for three months, in return, I receive a number of features to help visibility and saleability. I don't mind it and it makes sense from all angles. Three months is not much time compared to some authors I know who still haven't received their rights back. Sure, KDP Select helps, so what? You read that right, free, The Dragon's Tear is FREE. I used the Free Promo Days feature, which is upwards to five free days for every contract (90 days). The important thing to note is that Free readers and Paid readers are different. If 5,000 people download a free ebook, it doesn't mean 5,000 people would have bought it. Human beings are not made entirely of money with the sole purpose of consumerism. It means 5,000 who would have never read it under any circumstance did read it. Why did I go Free? There's multiple layers to the decision, but I'll try and hit all the reasons that made me use the Free days. The sequel is coming out soon. Take a look at The Way of Wolves tab and you'll see a nice cover and book description of The Hunt. The twist to Free readers is they don't start reading right away; I know I don't. We pack our tablets with a bunch of stories and when we're on a flight we start testing the batch. The Hunt comes out in a few months, it'll take a few months for people to read. Easy decision. Reviews. I'm hoping some reviews start appearing since it's Free. Members of my writing group always looked at me funny when I said reviews are one of the hardest things to receive on a book. It comes down to this, you can't make anyone do something they don't want to do. If they don't feel like giving you any stars, they won't. Some of my members came to me this year saying they finally understand; they gave away a ton (more than I did) of Advanced Reader Copies and got zero reviews in the process. Readership. What's a book without readers? I'd rather people are reading and enjoying the story than anything else right now. I get it, I'm a new author with a lot to prove, so I'd like to prove it. The only way to do make that happen is by reading and removing as many barriers to entry as possible. Free has no barriers, if someone likes the cover, the title, and the description, they can download the book at no monetary charge. Readers make book worlds go round. Ultimately, Free is an experiment. I have no idea how it will pan out. Most likely I won't ever run a Free promotion again, so take advantage of the deal.